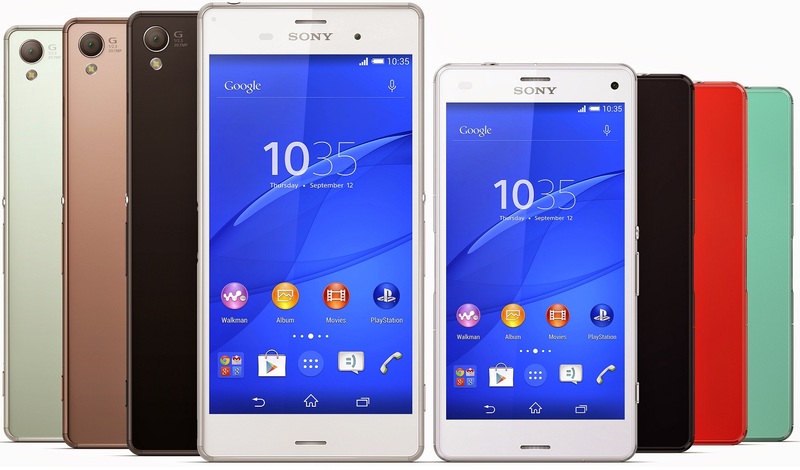 Sony Xperia Z3 Compact Review – Well played Sony! Since the booming of mobile phones, I’ve had quite the range of makes and models ranging from the Nokia – one does not simply destroy a – 5110, followed by the several other Nokias, over an HTC with Windows Mobile, a Windows Phone, to finally end up with an iPhone 4s which I still use but is coming to the end of its lifecycle. The first thing that I noticed was the performance and speed of the phone. The Snapdragon CPU and 2GB of internal memory runs Android like a charm. I never experienced any lag or performance drop during my complete test period. Not even the slightest hesitation. Coming from an iPhone 4s which can barely run iOS 8, this is really impressive. Of course, especially in these modern times, the battery performance is key. A lot of phones make you live in fear for running out of juice in your battery. Not true with the Z3 Compact! The battery usage, or rather the lack of it, is impressive. While I charge my iPhone every half day, I managed to go on for 2 full days on the Z3 Compact. This is while using Twitter, Instagram, IM, Facebook and making calls, all while using the 4G network. Only this battery consumption alone is a strong selling factor! Should you run out of battery but don’t have an outlet nearby, Sony offers several STAMINA modes to increase battery life. These modes will disable data usage, notifications or performance to increase the amount of time until battery depletion. The Z3’s screen is certainly one of the key factors for the long battery life. While the 4.6” screen sports a 720p (1280×720) resolution and certainly doesn’t lack quality, it does fall somewhat short in comparison to other manufacturers in terms of resolution. Sony hasn’t let itself be pulled into the screen resolution war that’s waging between other manufacturers. In itself it isn’t a bad thing. Android (and the Sony modifications on top of it) allow you to make some customisations in terms of luminosity, white levels etcetera, which essentially mean that you still have a very vivid colour scheme and in the end a screen that’s great to look at. Combine this with the resolution and pixel density (320dpi) and you have a good screen that’s light on battery usage. For your average user, more than decent quality. Besides, I honestly prefer this 4.6” screen with 720p over a 5”+ screen with 1080p. I mean, we’re still talking about a phone here. It’s supposed to fit in my pocket. A lot of people say: “the iPhone camera is the best there is”. Do these people also know that the camera in the iPhone is actually powered by a Sony sensor? The Z3 Compact features a 20.7-megapixel sensor. If you put the phone’s camera in manual mode, you can use the full 20.7megapixels. The phone’s “superior auto” mode, which is the default setting, will take a picture at 20.7Megapixel and scale it down to an 8megapixel image. Believe me, it’s more than enough for your average pictures on Instagram or any other social media platform. While the average picture quality is really above-standard and very much to my liking, I did find that I had to take several pictures again due to the resulting picture being a little too bright. This might be a setting somewhere which I haven’t found, so I wouldn’t judge this to be a crucial or deal-breaking problem. Furthermore, you can take 4K videos which are just stunning to watch afterwards. Sony is very much up to par in terms of future-proof technology on the Z3 Compact. The only downside I found was that focussing might take a bit longer than on your average phone, which will not be ideal when you need to take a picture very quickly. The Z3 Compact also has a 2.2MP front cam, which works as you can expect of a front cam, ideal for taking selfies and whatnot, nothing more, nothing less. Nothing out of the ordinary here. For all you Android rooters out there, I have read that when you put a custom rom on the Z3 Compact, it will remove some DRM keys and reduce the camera quality! Take this into account if you want to put for example a CyanogenMod on this phone. There really isn’t much to say in terms of the phone’s casing. It’s sleek, fits nice in the palm of your hand and all buttons are located on spots that are easily reachable: You have the power and volume buttons in the middle on the side, with the camera button a little lower. The fact that I didn’t need to clean the dust out of the phone really is nice, so I’m going to forget what I thought about clips and just be happy Sony made this design choice. On a sidenote: you can buy a magnetic charger which connects with the Z3C’s casing on the exterior, removing the need to open the clips, except when you want to change the SD and/or SIM card! The final noteworthy thing about the casing is that the 4 corners are made of a slightly different material. This should prevent the phone’s screen and casing from breaking when it falls. Again, according to specifications. I really didn’t want to test this myself. While I’m not going to discuss Android as an OS here, I’m rather going to focus on Sony’s take on it. The Z3 comes with the 4.4.4 version of Android, which is the latest version at the time of writing. Sony implemented its own software update tool, which constantly sees to it that your phone and apps are up to date. Noteworthy is the wide array of apps that come preinstalled, for example a Garmin navigation app, and an office suite. Of course there’s also the Playstation “Remote Play” app by Sony itself which should allow you to stream your PS4 games to you phone. Due to the lack of a PS4 however, I wasn’t able to test this feature. Another app which comes preinstalled is Lifelog, which makes it easy to connect your smartphone to Sony’s take on smartwear. On the audio side, the Z3 is one of the best phones I ever had the chance to use. I’m quite the audiophile and having a phone which supports .flac audio files out of the box is just wonderful. If you have a decent headset, you will absolutely love the Z3 Compact due to the High-res audio feature. This allows the phone to be able to play audio files with a much higher bitrate and sampling than other phones. As I said in the first chapter, I’m really impressed with the Z3 Compact. Not only does the phone deliver on its premise of speed, I never experienced any bugs whatsoever while using it. Unlike my current iPhone 4s (which I need to reboot 2 times a day), the Z3 Compact behaves as it should: responsive and quick. The preinstalled apps are nice, while the Play Store opens up a wide array of games and other apps. If the lighting is correct, the camera and resulting pictures are impressive, as is the option to record and play 4K videos. Audio is top-notch, plays uncompressed audio files and the built-in speakers are quite nice. As I indicated, the casing has its pros and cons. I’m not fond of clips to cover slots, but it does make the phone dust- and waterproof, which is a huge plus. Everything considered, the Sony Xperia Z3 compact is a great device. Android 4.4.4, combined with Sony’s GUI on top of it, make it a very responsive and user-friendly phone with a powerful CPU and more than enough memory. The fact that you can use the phone for more than two days without recharging will be a huge crowd-pleaser in these modern times. Oh, and it’s priced at around €480 – €500 which makes it a phone that’s fairly gentle on your budget if you compare it to the iPhone and Samsung Galaxy catalogue.